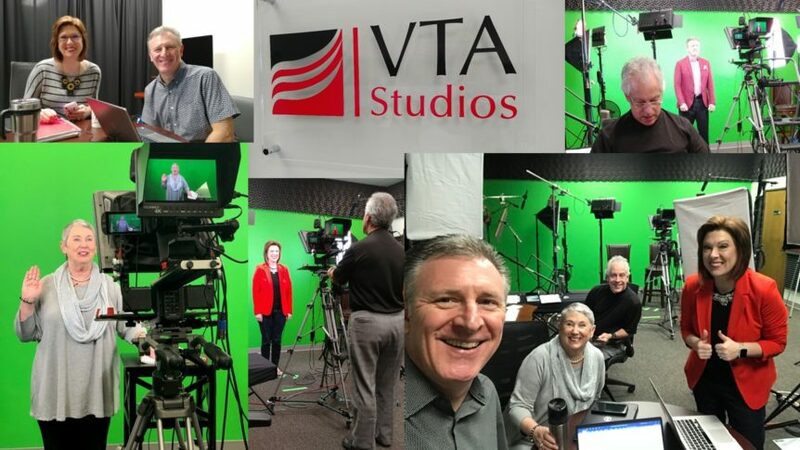 This past month I had the opportunity to travel to Greenville, South Carolina with my NSA Mastermind group and work with Chuck Gallagher in his remarkable video studio, VTA. Jeff Nally, Meredith Oliver, Chuck and I worked together to create multiple clips that we plan to use on our websites and on social media. We were incredibly productive (and had a whole lot of fun), and it was an invaluable learning experience. Here are some of our insights that might help you as you plan for your studio time. Be clear about your purpose for your video. Do you want this to create awareness on social media? Will the clip be used to welcome visitors to your website? Do you need to establish your brand or client value? You’ll be more effective when you can be laser-focused on your anticipated results. Read your script aloud prior to your arrival in the studio, and ideally read it for your colleagues who can help you wordsmith your message. Keep it short and succinct. Consider your brand and your look on camera. Bring a variety of jackets, shirts, and accessories that align with your brand. Having more than one option can be helpful (especially if you choose a pattern or color that doesn’t work on camera). Consider props like your book and work with your videographer for the perfect background. If you’re interested in exploring time in the studio with Chuck, contact him at 828-244-1400. Click here to view one of Cathy’s new videos.